1. The Mobile App Builder develops tablet and mobile optimized apps in few clicks without any coding complexities. 2. With near real-time synchronization between web store and app, the store management isn't a big deal anymore. 3. The developed application supports all types of products, languages, shipping methods and payment methods to provide the better user experience. 4. The "Live Chat" feature in the mobile app helps in retaining the customers and also bring some loyalty points to the store. WooCommerce mobile app builder by Knowband offers a pocket-friendly and flawless framework to create your own eCommerce mobile application. The Android/iOS mobile app builder for WooCommerce upgrades your site into a mobile store and allows the customers to have all the functionalities similar to the eCommerce website. Developing a suitable app for your eCommerce store isn't tedious anymore. You can have your mobile store with minimal hassle and least effort. The eCommerce merchants effortlessly tap over a billion iOS and Android phone users in a just a few button clicks. WooCommerce mobile app builder plugin can bring the entire web store in the pockets of your prospective customers. It provides exceptional first-hand experience to the store visitors and thus also enhance the chances of conversions. How to use the WooCommerce Mobile App Maker? 1. With this extension, the app creation is just a matter of moments. The WooCommerce mobile app creator develops the app in following simple steps. 2. Purchase the WooCommerce mobile app builder extension from the Knowband store and install it on your WooCommerce store. 3. The admin will then be presented with a questionnaire by the development team of Knowband. Here, the store owners can list out their requirements and expectations. The application for the site will be developed incorporating the mentioned features and requirements. 5. 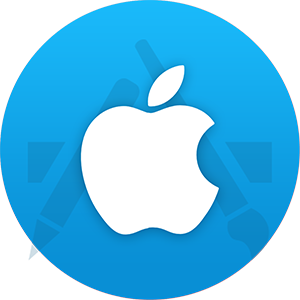 The APK of the application will be provided to the store admin which can be used to publish the app on the Apple App Store and Google Play Store. 1. Bundle of themes: The eCommerce mobile app maker offers a number of themes to choose from. The admin can select the colors that match with their store. Also, various fonts are provided to enhance app visuals. 2. Tablet-optimized: The app created by WooCommerce mobile app creator IS fully optimized with tablet and mobile phones which makes them work flawlessly on all the devices. 3. Real-time synchronization: The entire store is integrated with the mobile app without involving any sort of manual synchronization. The automatic synchronization offered by WooCommerce mobile app maker makes the inventory and order management easy for merchants. 4. Design control: The store admin gets full design control of the module. The banners and other images can be displayed and managed by the store admin from the back-end of the WooCommerce mobile app builder for Android/iOS. 5. Multi-lingual support: The mobile app builder for iOS and Android offers global and regional reach. Through Multilingual and RTL writing style support, the store admin can easily tap the user base across the borders. 6. All product type support: The WooCommerce Android/iOS mobile app builder supports all sorts of application. Whether your eCommerce site sells simple, bundled, configurable or grouped products, the app supports them all. The application even supports the virtual or downloadable products. 7. All sorts of shipping method support: The WooCommerce mobile app maker extension is compatible with all types of shipping methods. The ample shipping options allow the online shoppers to choose the one that suits their requirement. 8. Quick/Social app login: The Facebook and Google+ options offered by WooCommerce mobile app builder module makes it easier for the visitors to delve into the store and complete their transaction. 9. Wishlist: The wish list functionality offered by WooCommerce mobile app creator plugin allows the customers to save the products for future use. 10. Zopim Chat Services: 24/7 live support makes the shopping experience seamless for the visitors. The Zopim Chat services incorporated by WooCommerce mobile app maker extension allow the admin to support user from the app which also keeps the visitors engaged for a longer duration. 11. Simplified Checkout: The WooCommerce Android/iOS mobile app builder offers simplified checkout experience to users. It makes it even easier for the visitors to place their order as a guest. 12. Coupon Support: All sorts of coupons and vouchers are supported by WooCommerce mobile app maker. 13. Order Tracking: WooCommerce mobile app creator plugin offers order tracking feature in the apps. It reduces the user's insecurities regarding product delivery. 14. Unlimited Push Notification: The WooCommerce mobile app maker offers unlimited push notifications to the e-merchants through which the store admin can easily keep the customers informed about the offerings of the store. You can choose any one of the above-listed payment methods for the default addition in the mobile app under the same price along with PayPal. Rest any other payment method can also be incorporated in the mobile app by us over a fair amount of fee. The biggest benefit for the merchant is the fact that it is a ready-made framework which develops eCommerce app with minimal effort. There is no coding and no manual synchronization involved in the process. The retina-ready display of the applications offers better product clarity to the customer, thus, chances of conversions are boosted. The application developed by WooCommerce mobile app maker is fully optimized with iPhones, iPad, smartphones, and tablets. This allows the store admin to cater the customers without worrying about user's device. The eCommerce store owners can sell any sort of products on the handheld devices as single, virtual, bundled, configurable etc. With multiple payment and shipping methods support of the WooCommerce mobile app creator, the rate of cart abandonment could be easily lowered. The multi-lingual and especially the RTL support, allows the merchants to take their business on the global platform. Push notification is provided in WooCommerce Android/iOS mobile app builder allowing store admin to seamlessly market store products. The featured mobile app will ensure effective user engagement and customer retention for your business. The high-resolution images and the graphical interface will aid the customers in making the purchase decision. WooCommerce mobile app creator supports multiple screen sizes which makes the apps work flawlessly on any device. The filters and smooth app navigation will make the product search quick and easy and thus online shopping becomes fun for them. With push notifications service, you can easily reach out to users about the new deals and offerings of the store. With the quick check-in and check-out option, the mobile apps let visitors complete the purchase in minimal time. How to have a free demo of your application? You can get the free demo of WooCommerce Mobile App Builder from the Google Play Store or Apple App Store. 1. Once this eCommerce mobile app creator is installed, you can have an experience of how your web-store would look in the application. For this, you will have to download and install our Android Mobile App Builder Free and iOS Mobile App Builder Free in your store. How to get Mobile App builder? 2. Share the Facebook and Google App keys with us if you choose for quick social login options. 3. Knowband will share the APK for your application. 4. 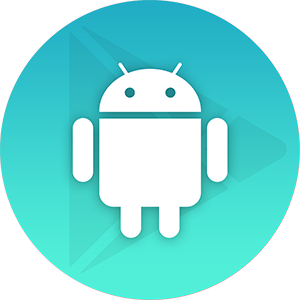 You can release the APK on Play store/Apple store or we can do the same for you free of cost.